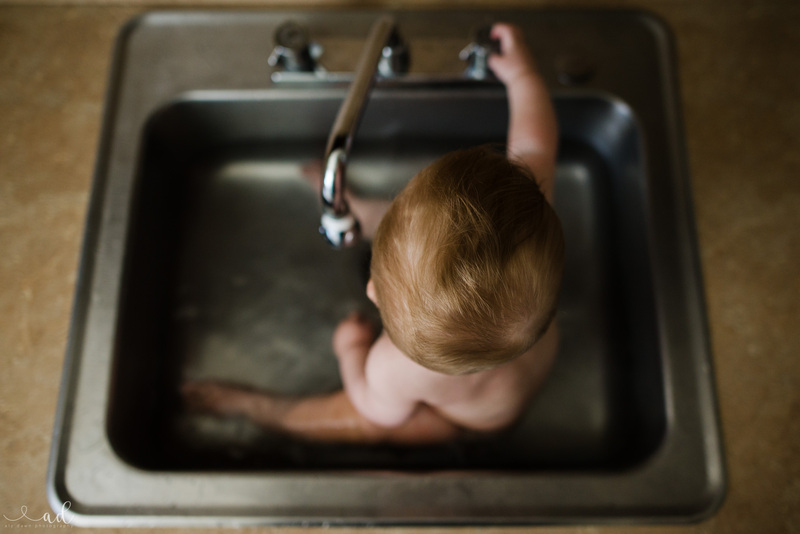 Taking pictures of your infant can be extremely hard. I mean, once they start crawling they are gone. Before I was a new mother, trying to learn how to be a mom, I was a working wife. My subjects before this were my dogs, myself, my siblings, and my husband. Aside from the dogs, my subjects sat still. So when I threw in a crazy crawling, standing, infant … taking pictures suddenly became a lot harder. I want to hopefully show you some of the things I learned along the way for you to get the images you so crave of your little one. My little one is about to turn 8 months old. I am so amazed at my progress as a photographer over just 8 months. I am finally getting to a point in my work where I look at it and say, ‘yes, I like that!’. If you’re not there yet, don’t worry! Keep practicing, keep taking pictures, and you’ll get there. 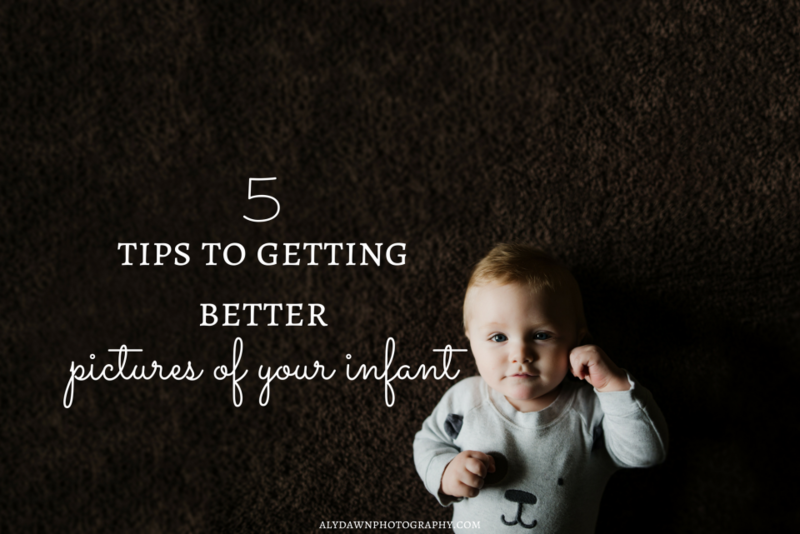 I wanted to share with you five tips to getting better pictures of your infant. I really wish someone had told me these five tips when my baby boy was first born. I also really enjoy using my Sigma 24 1.4 wide angle lens on my baby boy because it gives me the flexibility of getting the environment in my shots or coming in close for the details. My favorite and go to lens for sure! Why are you a photographer? Most of the time I see the answer is ‘to photograph my kids’. And that’s great. But do you love photography? Do you love light? Do you love challenging yourself? I sure hope you do if you’re a photographer! Why do you want to have photographs of your kids? What do you want to photograph your kids doing? Do you really want ‘look at the camera and say cheese’ images? Or do you crave to have images that look natural? That scream childhood? Cause if you do … you should follow my blog and learn along with me (plus you get a free Simple Guide to Photography PDF for signing up!!). All images were taken with my Nikon D610 and Sigma 24mm 1.4 lens. I feel like this is important whether you are photographing your child or simply interacting with them. Patience is the most important tip I can give. Do you have the perfect shot in mind? But baby just wants to do the complete opposite of what you want? Be patient. Or, take a picture anyways! Maybe you’ll like the outcome better than the vision you had in your mind. Either way, your baby is in charge. He/She will not sit still, no matter how many times you tell them to! Newborns can sometimes be easier, because they don’t do much. But as soon as they can crawl and get away from you, good luck getting them to sit still. Besides, sitting still just isn’t fun! If your infant is old enough to do things by themselves, like sit or stand, then give them something to do! I love getting my son to play with toys – it makes him sit still long enough to get an image. And plus I get to capture his favorite toys by doing this. I also love having him stand up and play with his table. He loves it because it lights up and makes noise. So he plays on that forever while I experiment with different angles. If I want him to crawl towards me, I will place an object near me for him to crawl and get. Boom, crawling image complete. You want to make it interesting for them, otherwise they’ll get bored fast. 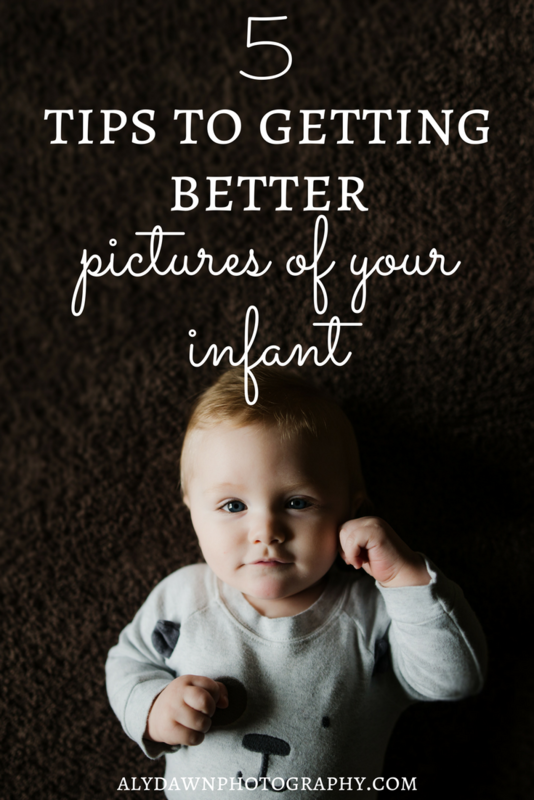 Do you feel like you’re getting the same image of your child time and time again? Try changing your perspective! I love shooting down. Shooting to the side. Shooting up. Shooting straight on. Change it up, it’s fun. Plus kids look good at any angle (dang kids!) so don’t be afraid to explore this. Going along with your perspective, backing up can make a world of difference. Don’t shoot up close to your child. Get their whole body in the frame. Back it way up. Then you can go in for a detail shot of their cute little hands or feet. Doing this gives you a variety of images. Childhood isn’t childhood without the parents. So be sure to capture you and your significant other in the frame with your children! Getting in the frame doesn’t have to be a chore. In fact, it can be a very fun family activity! Pull out a board game. Pull out some play-doh. Get in the frame, and show your kids that you were there, too. You’ll thank yourself later for doing it. TRUST me. I already have so many images of me and my son. I love them all! And guess what! It doesn’t matter that I still had my baby fat … or that I wasn’t wearing the prettiest clothes. I was there, in the moment, and it shows because of the images I’ve taken. So, stop being selfish (really, stop it) and put on your big girl (or boy!) pants and hop in the frame. Do it. Just, do it. Don’t forget to put the camera down from time to time and just enjoy your family. You wouldn’t want a camera in your face 24/7, would you? Don’t always make it about pictures. Give your family a break from it. Go on a walk and leave your camera at home. No matter what, being present in the moment is definitely the most important thing. After you get the shots you want, put that camera down and join in on the fun! Win-win for everyone.